We are a full service restoration company in Phoenix, offering expert restoration services throughout the state of Arizona. We offer comprehensive restoration services for any damages your home or business may be facing, and offer a quick and thorough turn around of your property. Call today to get an accurate and honest assessment of your damages, and discover the best options available to restore your property back to new. Call Us Before Your Insurance Company! Make sure you know your legal rights when experiencing damage that will require a restoration companies services. It can be overwhelming, but understand we work for you, and not your insurance company. Don't be restricted by the service providers offered by your insurance company. Ensure that you get the best services from a trusted Phoenix restoration company, and avoid any future issues that could arise. If your restoration company does not perform comprehensive restoration services, then the issue is very likely to persists and often times escalate. Consult with the best restoration company phoenix has to offer, and get accurate estimates, time-frames, and insights into the process. We always advise to call a restoration company before you make a claim with your insurance provider. 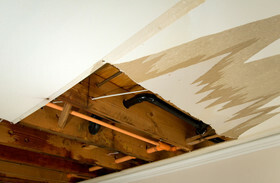 ​Water damage in Phoenix is more common than most would think, and can cause severe damage if gone unchecked. With poor industry practices on behalf of home developers,along with unexpected malfunctions, and typical wear and tear over time, homes become increasingly vulnerable to water damage. Often times a problem persists unbeknownst to the occupant for months and even years at time, resulting in severe damage once discovered. Experts suggest routine inspections of air quality to ensure your home or business does not show high levels of mold spores, which can indicate a presence of a water leak, or standing water on inside the building. Where there is water, there is mold, and vice versa! Due to the health hazards associated with mold it is important to address water related issues at the first sign. Water damage can take many forms and can affect homes in a variety of ways depending on the building materials used, seasonal conditions, and where on the property the problem exists. Water restoration is time sensitive, so if you have reason to believe your home is in need of water restoration services call a professional water restoration company today! Now offering complimentary in home inspections for water damage and mold! 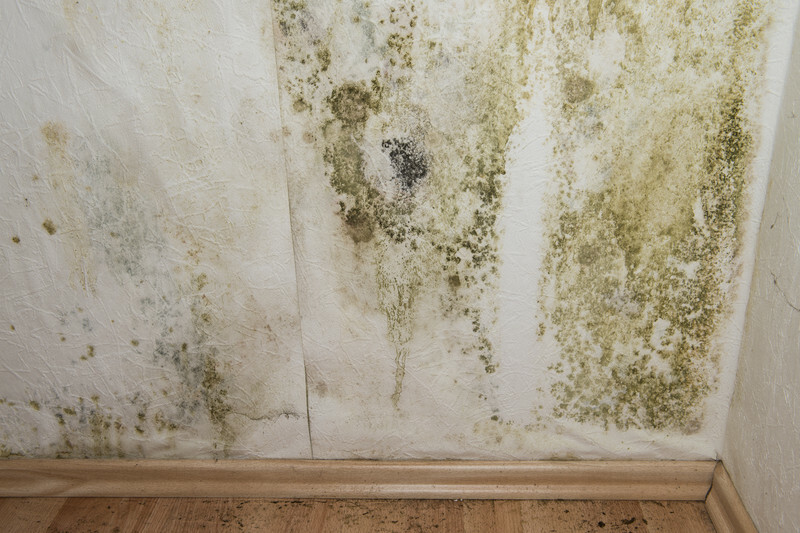 The thing people are most interested to know after they have a leak, flood, burst pipe, or any type of water damage is if they have mold. 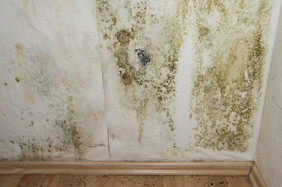 Mold is dangerous, and if untreated can have long term effects on residents. Anyone who has experienced water damage should consult with an expert to determine if a dangerous amount of mold is present in the building. This is done by testing the amount of mold spores present in the air in a variety of different rooms throughout the building. It's wise to get multiple opinions when it comes to mold testing, to ensure accuracy. Many people are referred to a company by a plumber, but its wise to seek a third opinion, to ensure accuracy and legitimacy. Tests are not always accurate, and some companies are incentivized to find mold, where mold is not actually present. When to call a restoration company? There is no cost associated with calling a restoration company, and having them inspect your home. Most restoration companies offer complimentary inspections to inspect for mold, standing water, and anything that can cause damage, or pose a health risk if gone untreated. You should call a restoration company whenever you feel that you might have mold or water damage, regardless of the severity. A damage restoration company can asses the damage at no cost to you, and simply quote you on the cost of remediation and removal. It is recommended to act quickly in the event that you have water damage, or mold that is spreading in your home. However you are under no obligation to commit to services during an inspection. Home inspections offer a great peace of mind, and can mitigate the damage caused by leaks, or untreated mold. Water Heater Leaks - Water heaters need to be frequently assessed for leaks, especially if they are over 5 years old. Water heaters leaks can be hard to spot, because water heaters typically drain into corners of the garage, closet, or basement that are out of sight. We recommend taking a flashlight and inspecting your water heater a few times a year. Look for standing puddles, and any sign of moisture in corners, crevices, or beneath the heater itself. 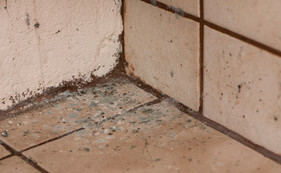 Mold in the Kitchen - A leaky kitchen sink is the most common cause of mold in Arizona homes. However the kitchen in general is a big host to mold with all of its appliances, and water usage. Whether it's the garbage disposal that is leaking, the dishwasher that is leaking or simply the pipes beneath the sink are leaking, often times mold starts in the kitchen. Since most of theses leaking appliances are tucked away and hidden beneath cabinetry and counter space, mold often flourishes for months or even years before it is noticed. Once discovered, mold remediation services are usually the only option, but if caught early enough, the mold can be dried out removed effortlessly. If you have a leak in your home that may be contributing to mold growth, call Phoenix Water Damage for a free inspection, and let us check for mold and answer any questions that you may have related to remediation and restoration. Water Extraction - After the property has been assessed, we will begin the water extraction process which will effectively remove all standing water from your property. Using truck mounted vacuums, submersible pumps, and industrial grade extraction equipment we will stop the damage from spreading and dramatically reduce the drying time. We will then run subsequent testing to ensure that we have effectively removed all water from the premises, including behind the walls, and under the carpet and flooring. 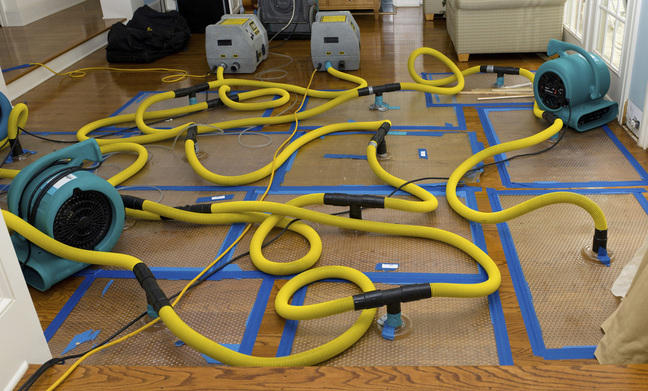 Drying & Dehumidifying - One of the most crucial steps in the water restoration process, the drying will play a significant role in reducing or eliminating warping, swelling and or the break down of building materials, as well as the potential growth of mold on your property. Using industrial grade air movers, fans, and dehumidifiers, our team will gain control of moisture levels, in order to sustain proper drying on the premise. Cleanup - Once the water damage has been assessed, extracted, and dried, we will begin the cleanup process. This will include but is not limited to, cleaning the walls, floors, and furniture. Additionally, our restoration process includes thorough deodorization, and odor elimination caused by the damage. Using air scrubbers, our team will remove persistent odors caused by water. Restoration - The final measure is to restore your property back to its original condition. This process varies depending on the condition of the property, and the extent of the water damage. In some instances it simply involves replacing carpet, paint, drywall, flooring or other minor repairs. However our services include full rebuilds and build backs, which may involve an entire kitchen, living room, or in rare instances, most of the home. As a full licensed bonded and insured contractor, that means there is no job that is too big. Throughout the restoration process we will monitor and test moisture levels, to ensure that once the restoration is complete, there will be no further issues. - Call Our office today to get a comprehensive estimate and evaluation. 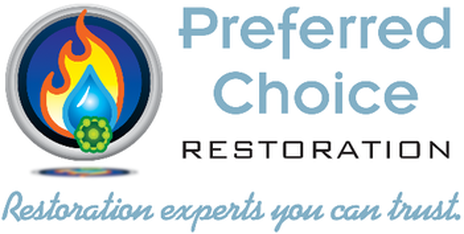 We are Phoenix Arizona's preferred emergency restoration provider. Although we specialize in mold remediation, water damage restoration, fire damage restoration, and asbestos abatement, we operate as a general contractor and provide full rebuilds, and would be hard pressed to come across something we could not service. We are committed to providing Arizona home owners, and commercial property owners the highest standard and most comprehensive restoration services in AZ. Based locally in Phoenix, we offer full service emergency services 24 hours a day. We understand that damage to your home or property is time sensitive, so we act quickly and diligently the second we pick up the phone. If you are experiencing an emergency, please call 480-405-8064 . Though the valley does not experience excessive floods throughout the year. The sporadic rain fall that we do get from time-to-time does contribute to water damage in Phoenix and throughout the valley. Most home developers do not take precautionary measures in preventing water from penetrating homes, so when Phoenix does experience floods, it often causes significant damage to homes that were designed to sustain heavy rains. Flood damage cleanup in Phoenix and throughout Arizona is a cornerstone of our business, and something we take great pride in being great at. Offering timely and effective services has made us Arizona's preferred flood damage restoration company. Keep a good eye on your water bill - Spikes in your water bill can a great indicator of leaky pipes. By keeping an eye on your water bill you can have a great understanding of what your spending every month and also notice any hikes in your bill that might suggest a leak. Don't pour grease down your sink - Most of us know that pouring grease down the kitchen sink is not a good idea. Grease can clog your pipes and ultimately lead to your pipe bursting if it gets too clogged. It is good practice to pour grease into cans or some form of waste container and not down the drain. The integrity of your roof - Your roof provide the quickest access for water into your home. Make sure you have no broken shingles and that your roof has been inspected in the last 15-20 years. Prevention in this case can save you a lot of headache down the road. Windows - Make sure that all windows in your home are cauked and sealed appropriately. A leaky window can inevetiably lead to water damge in your home. Appliances. - Appliances are the biggest culprits of water damage in our modern age. The dishwasher air conditioner and especially the laundry machine have the ability to displace unwanted water in large quantities throughout the interior of of our home. Make sure that appliances are routinely inspected and are looked at upon any abnormalities like loud sounds and unusual noises. Clogged Toilet - Clogged toilets can become an issue very quickly. Make sure to always have a plunger on hand and to address an overflowing toilet immediately. If water breaches the toilet bowl make sure to wipe any standing water, and to create ventilation by turning on a fan and possibly bringing another fan into the bathroom to clear out stagnant air. If water seeps into the floor make sure to call a professional restoration company immediately. 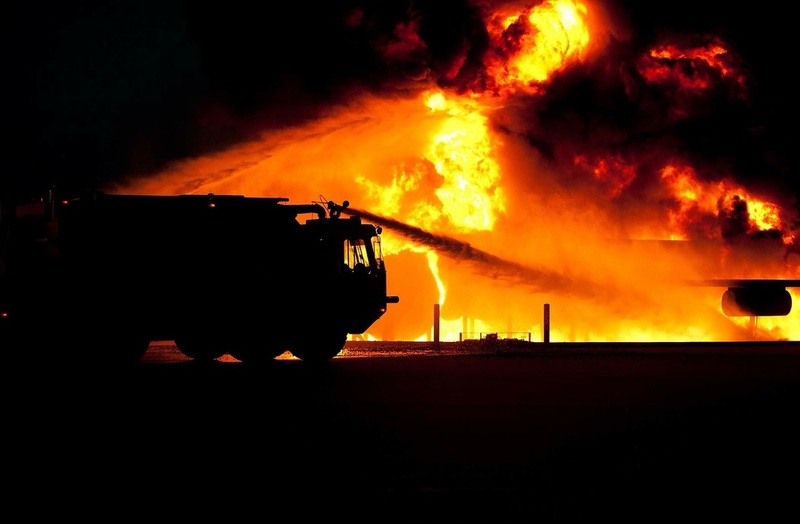 ​Emergency Response Services - Offering Phoenix the fastest and most effective emergency remediation services. Our team will begin to employ best practices upon arrival to your home or property and will have our equipment ready to deploy. Ensure any sentimental items that are accessible are gathered and that everyone is cleared away from the damaged area. If you are currently experiencing an emergency please call 480-405-8064. 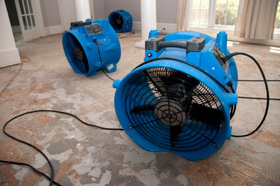 Water Damage - Surprisingly, water damage in Arizona is extremely prevalent. Due to poor installations, unfortunate malfunctions, and occasional weather conditions, Arizona homes are either flooded, or exposed to varying levels of water damage. With our unique water restoration techniques, we can mitigate the damage done, and get your home or property back to normal in no time. It is important to note that this process must be done quickly and thoroughly to prevent any future damage to your home or property. With extensive experience in this field, we can assure the highest standard of service will be performed upon any water damage related incidences. 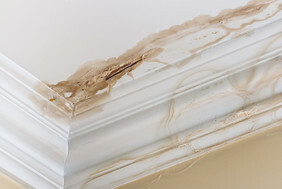 Mold Remediation - Arizona is one of the most affected states by mold. Due to our relatively warm winters, mold is not exposed to cold enough temperatures to kill it. The Arizona climate is actually a great host to mold, which is why we see so many homeowners discover mold in their home every year. Mold is harmful to our health, and to longevity of our homes. Ensure you have your home checked for mold if their is ever a reason for concern, and make sure that upon discovering mold you address the problem with best practices. Our teams follows stringent guidelines to effectively and permanently remove mold from your property in the most non intrusive manner possible. Fire Damage - Experiencing a fire in your home or property is an overwhelming and often times traumatic experience. We understand this and will guarantee our staff will be sensitive, and employ the best practices when responding to your property. Our crew of trained professionals will guarantee a thorough and timely restoration that will have your property back to its original condition quickly. Smoke Damage - Dealing with smoke damage properly is imperative in order to restore your home to its original condition. Smoke damage can have a lot of perverse effects that can decrease the value of your home and make it unsatisfactory to live in. Regardless of the severity of your damage, call a specialist to avoid any long term damage caused by the smoke damage. Asbestos Removal - Asbestos is a silent killer that has affected millions of people across the world since its introduction into the marketplace. Now banned and outlawed for its dangerous health effects in most parts of the world, asbestos is something you do not want to ignore. If your home contains building materials that were made with asbestos it is strongly encouraged that you remove the asbestos from your home. If you'r home was built before 1986 it is recommended to have your home assessed to determine if asbestos is present on the property. Asbestos was incorporated into Insulation, roofing, panels, and more before 1986, and if dislodged into the air by some means can present a serious health threat. For more information regarding asbestos, and actions you can take to prevents its life threatening health effects, call our office. Our Mission - Catering to Phoenix's restoration needs, we are much more than water damage services. We understand that Phoenix and the greater state is exposed to thousands of disaster related events throughout the year. Many of which are handled inadequately, and will require further services at a later date. This is why we pride ourselves as being Arizona's most comprehensive disaster relief company, By providing the most innovative techniques in the industry, we can guarantee our services will rectify the damages, and guard against future related issues. The damage that one experiences during a disaster is much more than physical damage to the property. We understand the psychological damage that takes place from the trauma of these unexpected disasters, which is why prevention is our core discipline. We would like to see the annual number of disaster related issues decline in the next decade, due to sound practices implemented by ourselves and other companies in the disaster relief industry. The way we see it, our biggest responsibility as a business is to prevent the problem before it ever arises. By inquiring about disaster prevention services now, you can save a lot of money and headache in the future. Consult with our staff today on strategies you can implement in your home, to mitigate the risk of disasters affecting your home.